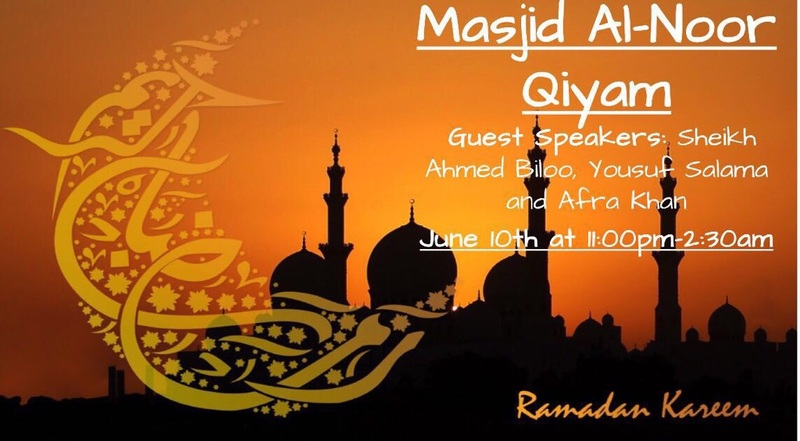 Assalamo Alaikum – Please join us for Qiyam in Masjid Al-Noor on June 10, 2016. Guest speakers: Sheikh Ahmed Biloo, Yousuf Salama and Afra Khan. Time: right after Taraweeh and Witr prayers (around 11:30 pm). ← Masjid Al-Noor Ramadan Program in English (1437H, 2016G). “MY MOTTO: I WILL GUARD MY TONGUE”. See attached P DF file.